Sailshades are “Green.” Not only are Sailshades made in the USA, so too are the product components that we use: LOW-E reflective insulation is sandwiched between the front layer which in our basic shade is 100% natural cotton twill and the back layer which is a 3-pass Roc-Lon blackout lining. This unique design allows each shade to minimize heat loss and gain through your windows. The reflective insulation is non-toxic, non-carcinogenic and environmentally safe. Low-e performace has not been formally tested in Sailshade applications. Sailshades can be recycled, refurbished and reused for up to forty years. The glue used in manufacturing Sailshade is not hazardous. Natural 100% cotton twill with no chemical finishes and 100% hemp linen are offered as basic choices for the face fabric and the customer’s own material (C.O.M.) is also available. 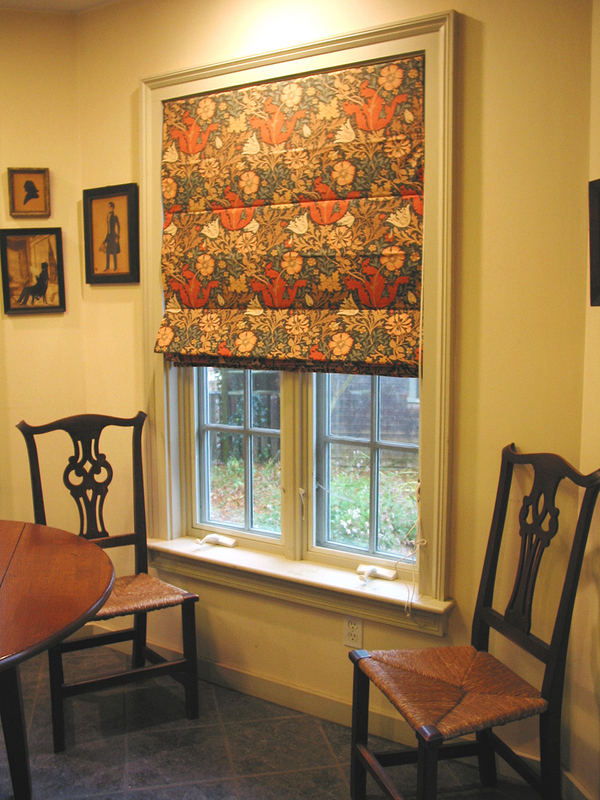 With an upholstered look, Sailshades are more compact with fewer cords than conventional roman shades. They nest discretely off the glass to maximize solar gain. Elegant to the eye and simple to operate, the design is a self-creating valance with a cornice-like effect. A Sailshade home is comfortable with heating and cooling bills that are noticeably less. Today there are hundreds of warm and satisfied Sailshade customers in 32 states with Sailshades that are still in use after 30 years.